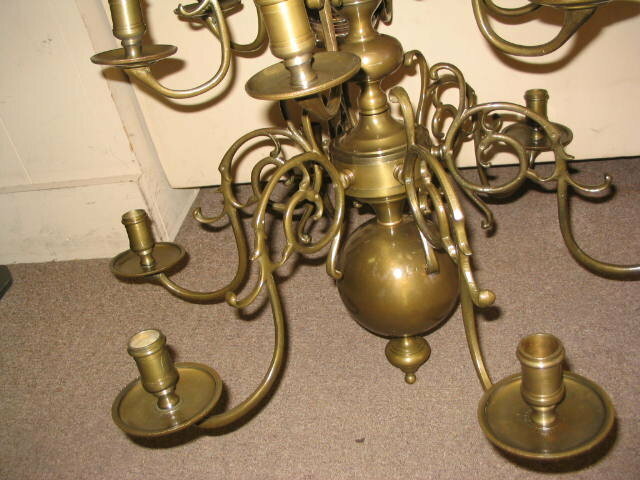 VERY HEAVY solid cast brass candle fixture. Has six large arms and six small arms. Excellent detail. Lovely aged patina finish. 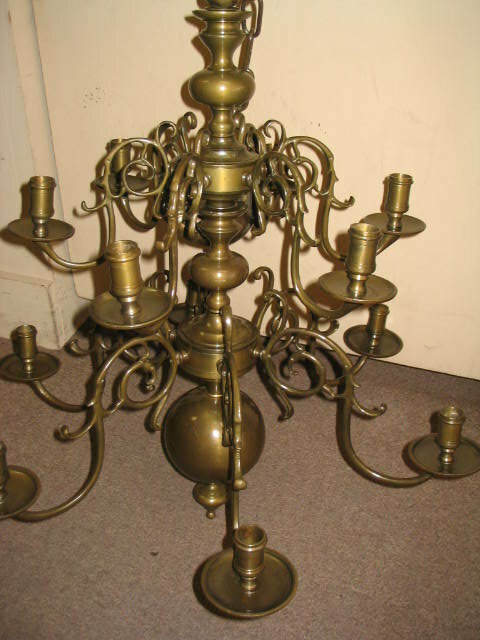 Presently for candle use but could be wired as an electric fixture. 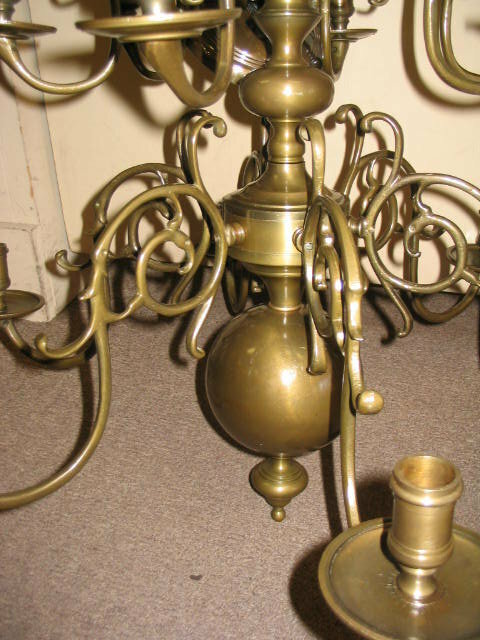 Measures 28" tall without chain and 25" wide. Email for more info. 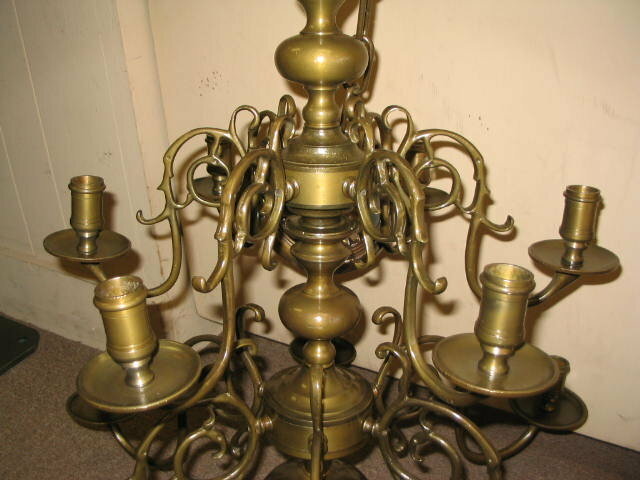 Items Similar To "12 Arm Solid Brass Candle Chandelier"